Havanese Rescue Inc, (HRI) is an independent charitable organization that has been rescuing Havanese and Havanese-mix dogs in need since 2004. While the Havanese Club of America is our parent club, HRI is not exclusively affiliated with any breed club locally or nationally. We depend on financial support and volunteer involvement from both regional and national Havanese Breed Clubs as well as the general public, willing to assist in the rescuing and re-homing of Havanese dogs. We are committed to maintaining the highest standards in responsible rescue. HRI prides itself on supportive relationships with our foster and adoptive families. 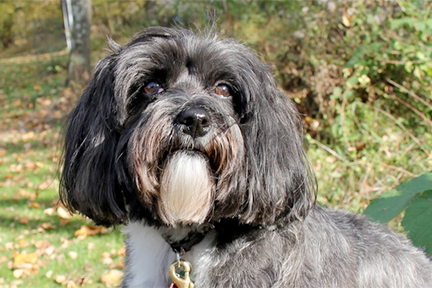 Collaborative efforts between HRI and Havanese Breed Clubs help provide a safety net for our beloved breed. Havanese Rescue Inc does not buy dogs from auctions, puppy mills, breeders or owners. All our funds are utilized for the rescue, care and medical treatment of dogs surrendered by owners, shelters or strays. Puppy mill breeding is a horror for all breeds. Buying from auctions increases demand and encourages puppy mill and BYB breeders by supplying a market for their mistakes. Havanese Rescue Inc. (HRI) is a 501(c)(3) non-profit organization formed for the charitable purposes of rescuing purebred Havanese and Havanese mixes which are homeless or soon-to-be-homeless, including those found in animal shelters or similar facilities and those relinquished by their owners. The dogs are provided with the attention, care and medical treatment necessary including spay/neutering. HRI also focuses on education of the public regarding puppy mills and responsible dog ownership including spay/neutering, training and humane care of Havanese and other pets.